Are Singers In Our Country Deprived? There is a saying that good friends stay in both your good and bad times. If the saying is true, we can call ourselves bad friends. Furthermore, we are terrible fans. And I am not speaking for myself alone here. This applies to the millions of people in the country. In the good days of a star, especially a singer or a musician, we applaud them. We take their autographs and take pictures with them. We send them gifts. We are always by their side, no matter what. We give them accolades and titles such as ‘legend,’ ‘icon,’ and what not. However, whenever some of their bad days came, most of us went missing. This is truly unfortunate because we grew up listening to their songs; their lyrics had such an impact on our lives while their guitars have been our only antidote against depression. Yet, during a time of their lives when these musicians needed their loyal fans the most, there was hardly anybody. Then again, most of these loyal fans were never loyal after all. Most people don’t even think twice before downloading an album that would cost no more than Tk. 100. Perhaps that’s the reason bands of this era had given up on the process and mostly opt for digital download. What’s the point of investing all your money in vain when people would illegally download the CD online anyways? However, with no sponsor or profit, the industry is about to have dark times ahead. Or perhaps, it is already here. A few days back, daughter of renowned folk singer Abdul Kuddus Boyati gave a status on Facebook where she pleaded for financial help for the treatment of her father. Many musicians, friends and well wishers offered help. Prime Minister Sheikh Hasina also helped the folk legend financially. But the question remains. To what destitute condition must a daughter be in to post such a status on social media for her father’s treatment. Moreover, he is not just any other father but a prominent face in the music industry. Abdul Kuddus Boyati is not the only one in the music industry who has come to such an isolated corner. So many legends did not get the comfort and luxury they deserved in the last few years of their lives. The list contains pop king Azam Khan, Lucky Akhand, Ahmed Imtiaz Bulbul, et al. Not only had they been unparalleled personalities of the music world, they had also served the country in the glorious liberation war. It was indeed sad that an artist like Lucky Akhand was in such a condition that he could not get proper treatment due to financial problems. Many friends and musicians had offered help. After a long battle with lung cancer, he passed away on 21 April 2017. Ahmed Imtiaz Bulbul and Azam Khan did not, however, seek any help. 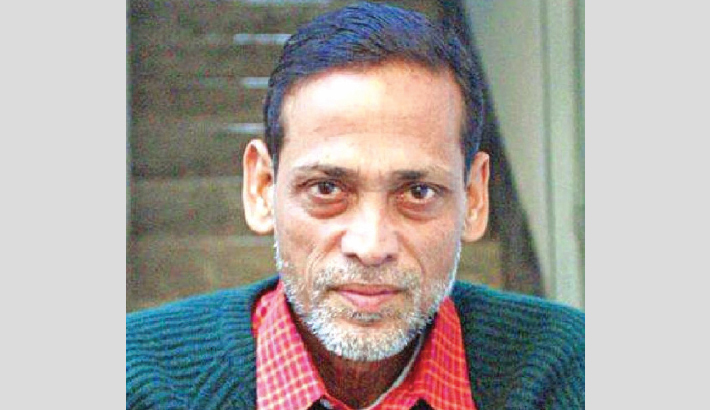 Prior to his demise, Imtiaz Bulbul said in his status he demanded no financial support from anyone. The post read, “I do not need any help from government, artists, friends or anyone. I'm enough for me. I just want to keep my national flag and the Qur'an on my chest for 10 seconds before operation.” Ahmed Imtiaz Bulbul suffered a cardiac arrest and died last month on 22 January 2019 while Azam Khan passed away on 5 June 2011 from oral cancer. Well, death is inevitable and we all must die. But this is not the way for legends to go. If we compare the status quo of our artists with that of abroad, the results are appalling. Michael Jackson owned a mansion not to mention billions at his deathbed. George Michael left an estate value of $200 million. David Bowie left $230 million while Bob Marley left $130. Freddie Mercury left $50 million. It is necessary to draw the monetary comparison between the artists of two parts of the world to show how deprived our musicians are from the facilities and honorarium they are entitled to. Prime Minister Sheikh Hasina has given financial assistance to many singers and artists. However, even such helps may not have been necessary for the artistes working in the musical and cultural fields had they been paid their correct due at the correct time by the correct people. We all mourn for an artist mostly after his or her death but the posthumous recognition will not earn them the comfort and facilities they are supposed to get during old age. It is important that stringent steps are taken now so that artists get their due royalty. The first step would be to say ‘no’ to ‘piracy’.